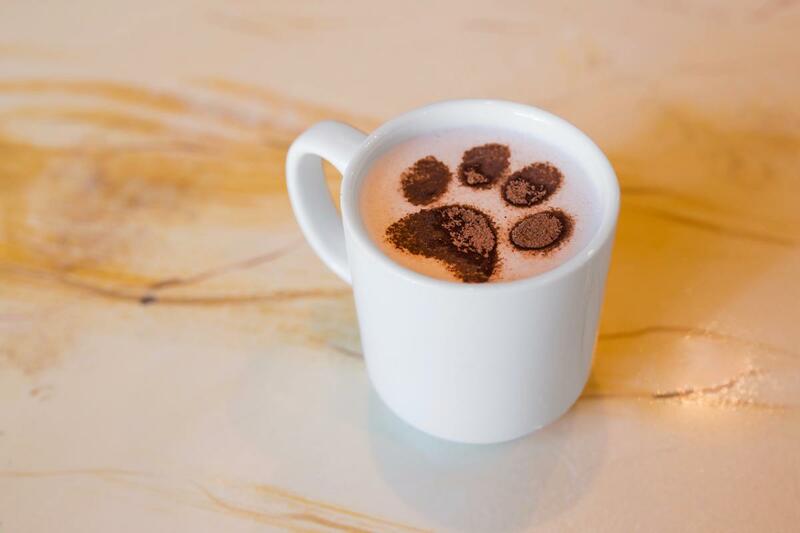 Luckily, the brick-and-mortar café that opened in 2001 serves all the same amazing French fare that the truck did, plus more. 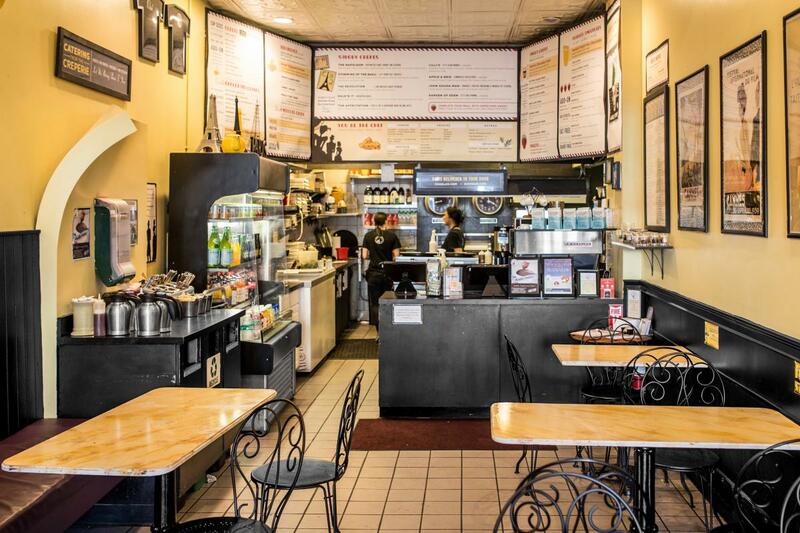 The Coolidge Corner café is small — cute (mignon) small, not cramped small — with cheerful yellow walls and black accents. Why do I love Paris Creperie so much, and more importantly, why should you? 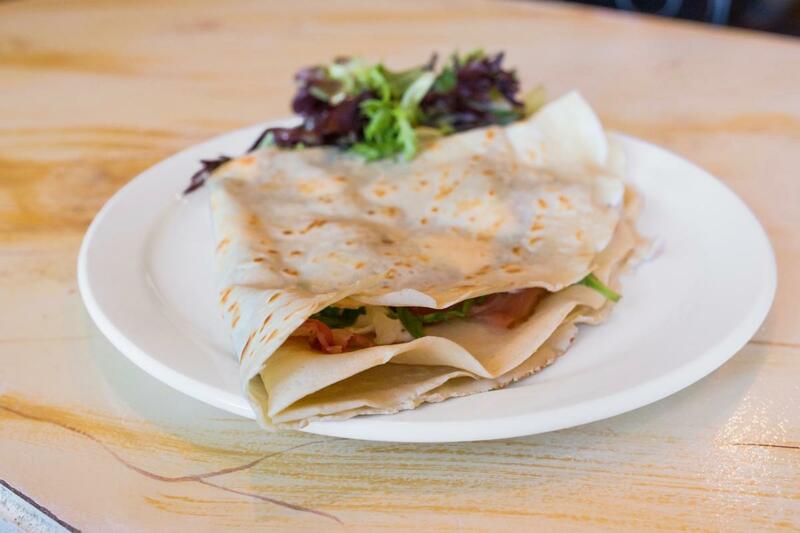 My favorite savory crepe on the menu is the first item I ever tried at Paris Creperie: the “affectation,” with bacon, goat cheese, arugula, and fig reduction ($9.99). For a savory crepe, the fig reduction adds the perfect amount of sweetness to complement the creamy goat cheese and succulent bacon. For other delicacies on the savory section of the menu, I recommend the “storming of the basil” with chicken, fresh mozzarella, roasted red peppers, sautéed mushrooms, and pesto on an oregano-infused crepe ($11.99); the “revolution” with ham, brie, and spinach on a tarragon-infused crepe ($9.49); and teetering on the edge of sweet and savory, the “apple and brie” on a cinnamon-infused crepe ($8.99). Progressing towards dessert: Thankfully for my blood sugar levels, the sweet crepes come in large and small sizes. The bear claw (pictured above) is a cinnamon-infused crepe with Belgian cookie butter — imagine molten graham crackers mixed with some sort of dessert-perfection drug — and Parisian donut glaze, with cinnamon and powdered sugar, and more cinnamon ($6.99/$3.99). It is sweet, it is heavenly, and it is gone very quickly. Other sweet crepes range from the very simple — butter and sugar ($4.59/$2.99), squeezed lemon and sugar ($4.99/$2.99), straight Nutella ($5.99/$3.49) — to the more complicated, such as the “Gram’s apple pie” with dulce de leche, apples, and pears on a graham cracker and cinnamon crepe ($8.99/$4.59). 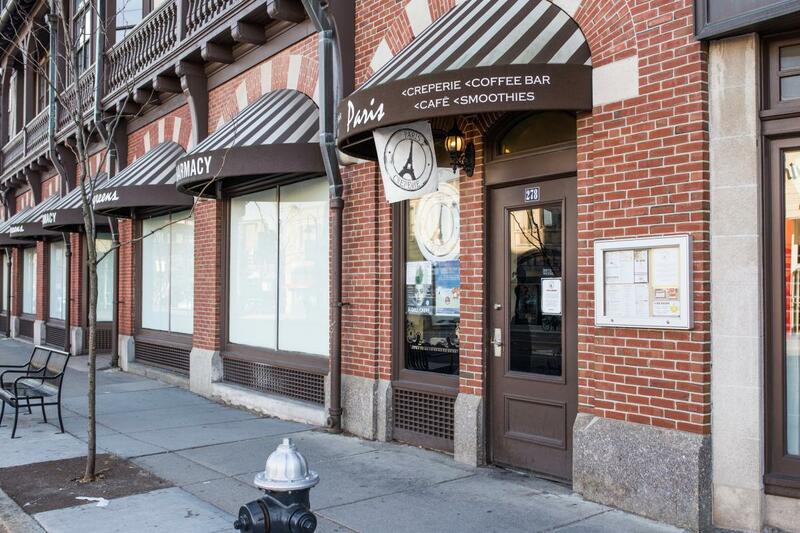 And if the food isn’t already reason enough to love Paris Creperie, the café’s open-book business model is designed to empower workers, as the Boston Globe detailed in 2013. So you get to feel good about eating the food because it’s yummy, and then good all over again because you’re supporting a restaurant with good business practices. Wherever you find yourself falling on the sweet-to-savory scale, there’s something for everyone at Paris Creperie. At least, as long as you get there before I do. I may clean them out on my next visit.